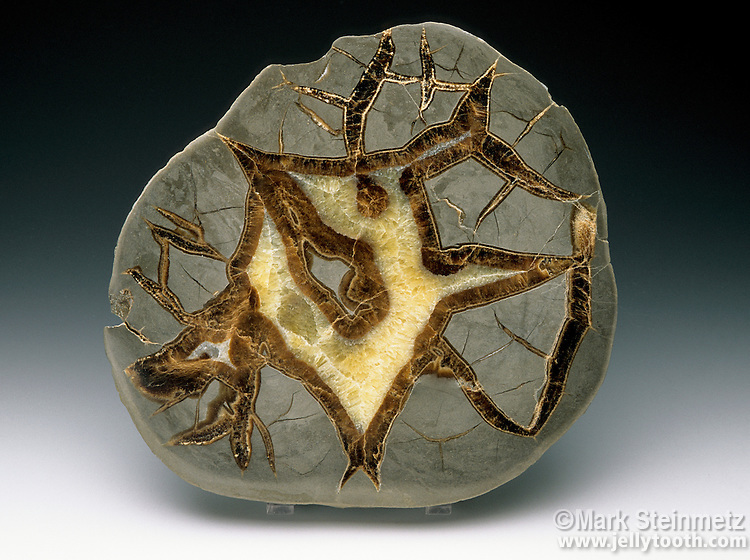 Polished cross section of a septarian nodule. Limestone/claystone with calcite crystals and aragonite (dark brown areas). Utah, USA. Mud concretions formed many millions of years ago from a receding ocean. Calcite from shells seeped through shrinkage cracks forming yellow crystals and a brown aragonite septum (from which the name is derived).